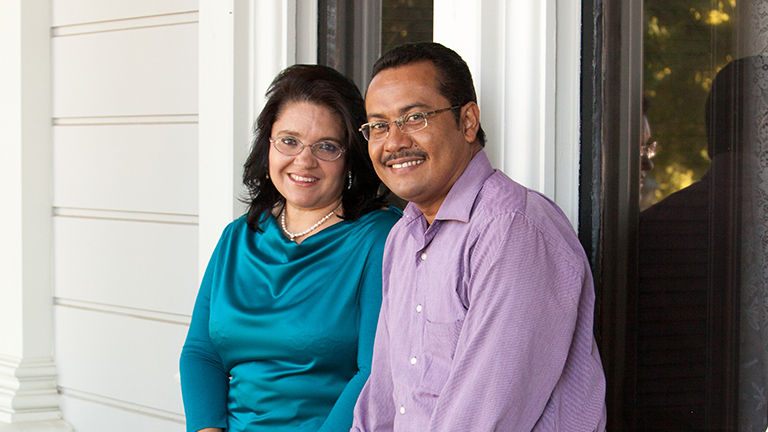 Nelson and Vikki (De Los Santos) Maya serve with United World Mission in Peru. Nelson is from Colombia where he served as assistant pastor and church planter. Vikki grew up and trained at CrossPoint Community Church and has been serving in Latin America since 1996. As a couple they serve together to grow disciple-making communities around the world that worship God, love each other, serve out in the world, and proclaim the good news of Christ everywhere! They are currently involved in equipping church leaders and doing member care within UWM for fellow believers in Lima and Latin America. They are targeting communities of great physical, spiritual and emotional need. The strategy is three-fold; PRESENT the Gospel through relationships, PLANT churches that bring life change through a grace-based relationship with Jesus Christ, and PREPARE leaders from the community who will continue to be the leaders in the new church plant. Vikki has recently become involved in prison ministry, bringing hope to the women she meets there. The Mayas also come alongside pastors and pastors’ wives to counsel, train and mentor in small group settings. They are honored to serve as UWM team coordinators and member care providers for their fellow UWM teammates in Latin America.